Guyle Clark & Josh Woods met while attending law school at the University of British Columbia. They quickly hit it off and decided that they would one day form a law firm focused on providing unmatched client service with exceptional legal expertise. Clark | Woods LLP was formed in 2016 with a focus on personal injury law. From its inception, Clark | Woods LLP has recognized the importance of convenience for its clients. As a result, the lawyers at Clark | Woods LLP are always happy to meet new and existing clients at both the time and location that is easiest for them, across the Province of British Columbia. Clark | Woods LLP is dedicated to providing its clients with unparalleled levels of client service and is always looking for new and innovative ways to improve our clients' experience. Whether it be through the implementation of new technologies, or simple services such as meeting clients at their homes or communicating via text message, email or telephone, we aim to make our clients' lives as easy as possible. We at Clark | Woods LLP know that finding the right lawyer to represent you is a choice not to be taken lightly. That’s why we offer free consultations to learn about your needs and develop a game plan for your personal injury claim going forward. Guyle grew up in the Vancouver suburb of Burnaby, BC where he attended Burnaby North Secondary and later attended Simon Fraser University. Guyle attended law school at the University of British Columbia and then went on to article at a boutique personal injury law firm in Richmond, BC before moving on to a well established general practice in Vancouver, BC followed by a downtown plaintiff only personal injury practice. Now, as a partner at Clark | Woods LLP, Guyle is focused exclusively on personal injury law. When he is not working, Guyle can be found touring wineries with his wonderful wife, whacking golf balls around Vancouver Golf Club, chasing pucks around 8 Rinks or the Burnaby Winter Club and tossing bowling balls down the alley at Old Orchard Lanes. After spending two years on Burnaby's Board of Variance, Guyle was recently appointed to sit on Burnaby's Parks, Recreation & Culture Commision by Mayor Derek Corrigan. Have you or someone you know been injured in a motor vehicle accident? Better #DialGuyle! Josh was born and raised in Edmonton, Alberta, but moved to beautiful British Columbia in 2004. Falling in love with the province, he completed his under-graduate degree at the University of Victoria, and then crossed the Georgia Straight to attend the University of British Columbia for law school. During law school, Josh clerked for the Provincial Court of British Columbia, gaining first-hand insight into how judges evaluate and weigh the evidence before them. 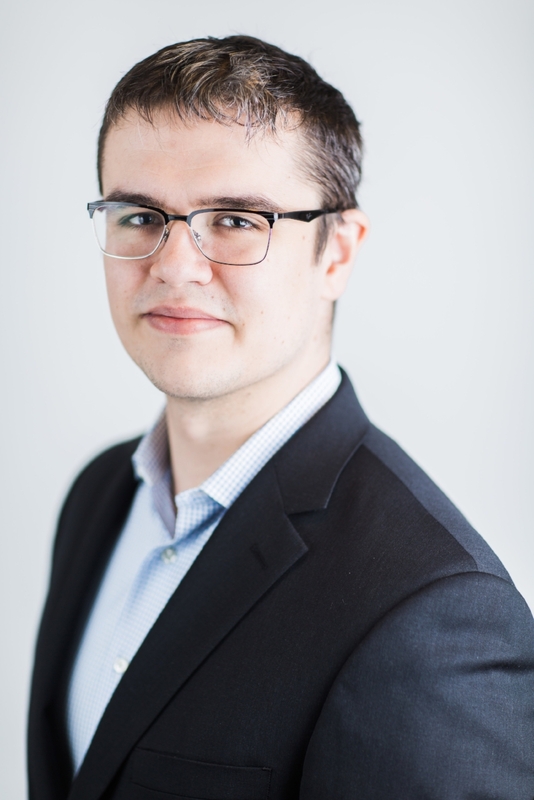 Following law school, Josh articled and practiced at a large personal injury law firm in Surrey, BC, before moving on to help found Clark | Woods LLP. Having proudly represented injured people for his entire career, Josh has had trial success at all levels of court in British Columbia, including the British Columbia Court of Appeal. Outside of the office, Josh enjoys climbing rocks in the great outdoors and fooling around on his guitar with friends.